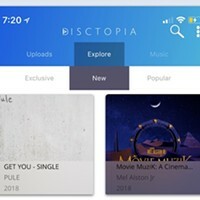 This week is a good episode for the tech heads, as we brought in Patrick Hill, founder of Disctopia, a Charlotte-based music platform looking to compete with the Bandcamps and Soundclouds of the world as the go-to spot for indie artists to stream music. We talked with Patrick about how his company works and the ways in which he plans to turn it into a one stop shop for local artists to cultivate a sound and an audience. Be sure to check out the Queen City Podcast Network, our team of Charlotte's best podcasts covering all the local angles you need. Also, catch up with all our past episodes on iTunes or Stitcher, or just type "Local Vibes" into your Spotify search bar and find us there.